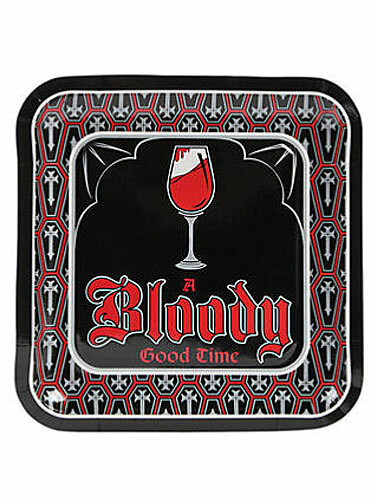 These Vampire Party Luncheon Plates read "A Bloody Good Time," and are sure to add some bite to your table setting. Square paper plates feature a black and red print with the image of a bloody glass and a coffin pattern trim. Vampire Party Luncheon Plates measure 9.25" in diameter. 8 ct.